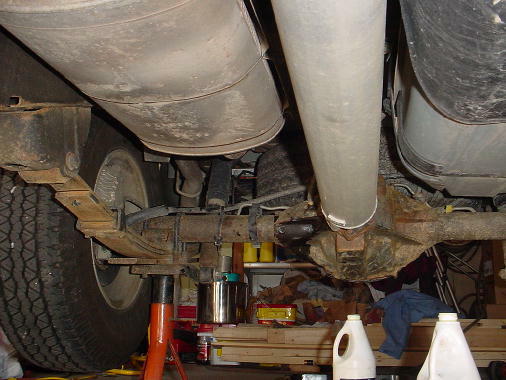 Looking forward from the transmission, rusty thing going sideways is the exhaust crossover pipe, rusty thing going forward is the forward drive shaft. 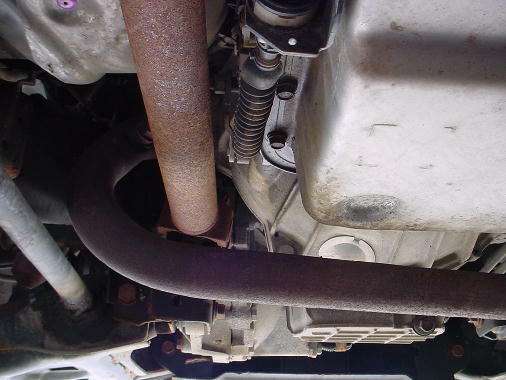 Upper right is the transmission oil pan...below that in the picture is the transmission bell housing and aluminum engine oil pan (waffle-like texture). 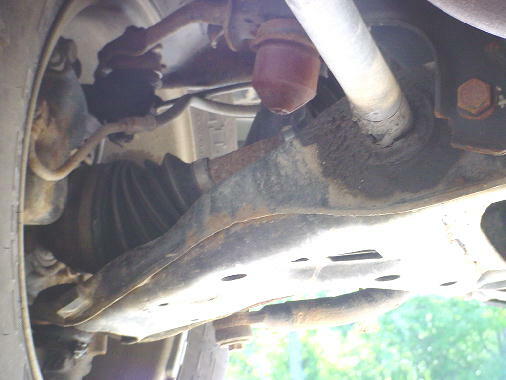 Shot from the rear of the driver's side front wheel/suspension.